Université Sorbonne Paris Cité (USPC) will offer 30 highly competitive PhD contracts, to international candidates from all over the world, in 2016 via the INSPIRE (INterdiSciPlinarity and excellence for doctoral training of International REsearchers in Paris) programme. These fellowships are co-financed by the European Union through the Horizon 2020 (H2020) Marie Skłodowska-Curie Action, COFUND and by the French Government’s Investissements d’avenir programme. Applications need to be submitted online via the application portal (link via this website) before 17H CET on 15th January 2016. The sections "Selection Process" and "Application Package" provide you with details about how to proceed with your application. Candidates are required to establish contact with a research group to complete the application package (see “Application Package” section below). Candidates are strongly advised to establish contact with a group (“équipe de recherche”) in a timely manner as they need to obtain the signed consent from the responsible person in the research group of interest prior to submitting the application. Additional groups affiliated with USPC may be found within the listing of Doctoral Schools here (please verify with the contact/responsible person in the research group that they are affiliated with USPC). Comprising over 10,000 professors and researchers from its eight higher education institutions (Université Sorbonne Nouvelle – Paris 3, Université Paris Descartes, Université Paris Diderot, Université Paris 13, EHESP, INALCO, IPGP, Sciences Po) and five research institutes (CNRS, INED, INRIA, INSERM and IRD), USPC offers a research-intensive university environment. Each year, approximately 1100, out of more than 6000, doctoral candidates defend their PhD theses, corresponding to about 10% of the annual doctoral cohort in France. Under the auspices of INSPIRE, USPC aims to recruit doctoral candidates of the highest calibre to join its research groups and enhance the standing and visibility of its Graduate Schools, and of the University, at an international level. 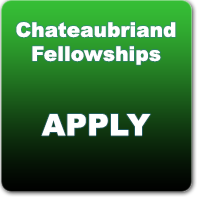 The well-remunerated three-year PhD fellowships will be awarded through a strictly merit-based selection process. Each Early-Stage Researcher (ESR) will be provided with a three-year work contract for full-time research positions with additional funding for mobility and extra research expenses. The work contract includes health insurance, which is comprehensive and does not discriminate against individuals with pre-existing health conditions. Housing will be provided within Paris ‘intramuros’ at subsidized rates for those who request it; an initiative supported by the Centre des Œuvres Universitaires et Scolaires de Paris (CROUS). There are no restrictions on nationality but candidates must comply with the incoming EU-mobility rule (see criterion 2 below). Attention will be paid to equal opportunity issues concerning all aspects of INSPIRE. Deadline: Applications have to be submitted online by 17H CET on 15 January 2016. Academic criterion. Early Stage Researchers (ESRs) need to have completed a Master's degree or an equivalent diploma before 30 September 2016. You must not already be enrolled in a PhD programme. International criterion. ESRs will need to comply with the conditions of the EU-mobility rule (incoming mobility): applicants must not have had their main residence, or carried out their main activity (work, studies, etc. ), in France for more than 12 months during the three years immediately prior to the deadline for the call (15 January 2016); compulsory national service in the home country, and/or short stays such as holidays in France, are not taken into account. Submission criterion. All required data and documents need to be submitted via the web-based portal in English or French, by 15 January 2016. Applications will not be considered after that date. Research-topic criterion. The proposed research project should be supported by the host research group at USPC and should not be excluded from EU funding due to ethical issues. Eligible Doctoral Schools are those that are affiliated with USPC. The programme is only open to research groups affiliated with one of the eight higher-education institutions of the USPC (Université Sorbonne Nouvelle – Paris 3, Université Paris Descartes, Université Paris Diderot, Université Paris 13, EHESP, INALCO, IPGP, Sciences Po). All required documents need to be uploaded in PDF format in English or in French. See “Application Package” section below for list of required documents. Candidates need to obtain the signed consent from the responsible person in the research group of your interest prior to submitting your application. This is the “directeur/directrice de these”. We therefore advise candidates to establish contact with a research group as early as possible to complete the application package (see below) in a timely manner. Selection by the research group: as early as possible to ensure all required documents are submitted by 15 January 2016. The list of selected candidates will be published online on 17 March 2016.
International candidates, who would require a visa to be present in Paris for step 3, the final selection stage in March, are strongly advised to inform the INSPIRE helpdesk inspire@uspc.fr as soon as you are informed by the Doctoral School (step 2.). The following documents must be uploaded when you submit your application online. 2. Description of project to be completed in collaboration with the thesis supervisor (maximum 20000 characters including spaces). Must include: the objective of the project; the scientific context; expected social and societal impact of the project; approximate timetable of the project (in a calendar format over 3 years: 2016 – 2019); materials and methods; financial sources for carrying out the research, and if required visits to collaborator labs; expected impact on future research in the field and potential benefit to R&D and applications; potential collaboration with international research groups and/or other international links. 3. Motivation/Personal Statement of the candidate (maximum 8000 characters including spaces): Describe your suitability to the research project in the context of your academic background; research experience; skills and knowledge you expect to acquire during your doctoral studies; future professional goals. 4. CV of the candidate: must include grades for your Masters courses (1st and 2nd year); research experience; and at least 2 references with contact information including telephone and email. 5. CV of the thesis supervisor (2 pages maximum): must include list of most significant publications relevant to research project, as well as the doctoral candidates currently being supervised and their expected dates of graduation. 6. Letter of Motivation from the director of the host laboratory regarding the candidate’s application. 7. Reference letter for the candidate from at least one referee independent of the host laboratory. 8. Certified copy of academic transcripts with grades for all Masters courses in French or in English. This project has received funding from the European Union’s Horizon 2020 research and innovation programme under the Marie Skłodowska-Curie grant agreement No 665850.